Simply select the coupon(s) you’d like and then fill out the form below. I am not registering or have already registered. 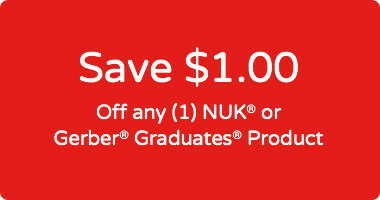 I would like to receive coupons and promotional offers from NUK® and the More for MomsSM Rewards Program.